English To French Translation Services: Why Is English To French Translation Important? English to French translation services are something that are extremely popular for a number of different reasons in a number of different industries. It could be something that you might want to consider for your business or even your personal life. But, why is French such an important language? The French language is spoken by over 290 million people across the world. English to French translation can therefore be of great use when trying to boost your business prospects abroad. French is not only spoken in France but it many other countries and territories as well. It is the official language of 29 countries. These include France, Canada, Luxemburg, Mali, Senegal, Switzerland, Haiti, Rwanda, Belgium, Togo, the Cote d’Ivoire (Ivory Coast) and many more. French is the language that is often used in various different industries, which is why a language translator will also be useful. For example, the pharmaceutical industry in France is worth over $37 million, and a lot of the work done there will need to be translated. 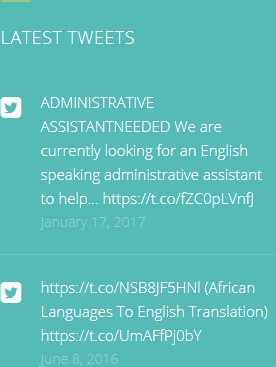 This is why, if your first language is not French and yet you want to excel in these industries, you should consider engaging an English to French translator to help you go further. Communicating successfully in French can lead you to many additional business prospects that you would not come across if you only used your native language in documents. Since French is also one of the official language of the Olympics, the Red Cross, NATO, and the United Nations amongst other world renowned organisations, it is the perfect language to translate work into. 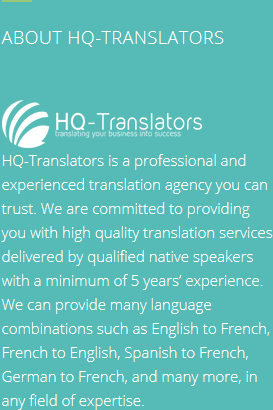 For the ultimate in exceptional English to French translation services, contact HQ-Translators. 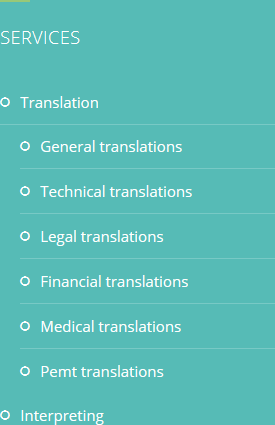 Our website (https://hq-translators.com) offers a wealth of information regarding our superb translation services. If you need further advice, please don’t hesitate to contact us on (00 237) 242 71 38 38 or (00 237) 693 21 69 27 or infos@hq-translators.com.